In New England its not surprise that your walls and ceilings will get damaged by water over the years. Our pipes may burst from the cold or even just the age and leak onto our ceilings or walls, requiring complete removal, assessment and installation of brand new drywall. Our roofs are prone to leaking over time, with the snow and rain beating down on them, trees and branches falling due to the harsh winds we can get. Sometimes we may not notice leaks until they have already cause irreversible damage to our wallboard. Families, adults and children of all ages make messes and spill and if these leak into our gypsum board could create mold or weakness and water damage. 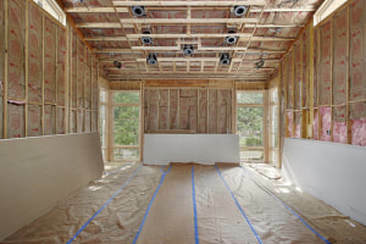 Our professional team specializes in coming into your home or business and removing the old Sheetrock. After removal we access the damage caused by the water, sometimes requiring more than just new drywall installation. ​Once we've deemed its safe to put drywall back in we will advise you on the best type that may be more resistant to this in the future! If the damage to your drywall has effected the rest of your bathroom then you must take care of it! Bathroom Remodeling Colorado Springs CO is a great local service to remodel your entire bathroom. They are trustworthy and hardworking, making sure your bathroom is redone to your high standards! Let our expertise work for you! 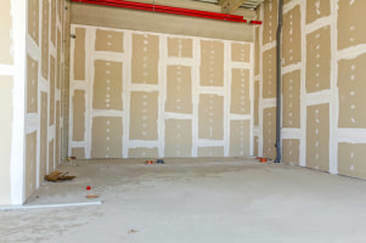 We are knowledgeable in every type of drywall, plasterboard, sheet-rock, blueboard, and cement board on the market. 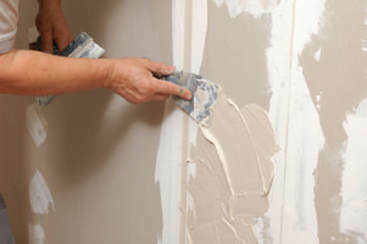 We can completely fix your waterlogged or moldy drywall. Many people don't realize how prone the gypsum board in their current residence may be to water damage. Your plasterboard can be many years old and have been exposed to water and other harmful elements. The only way you can ensure that your building is done right after discovering mold, holes, or general weakness may be to completely re-do any affected walls or ceilings. ​Let our family take care of yours!